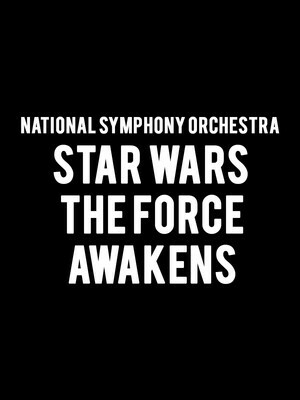 Why See National Symphony Orchestra - Star Wars The Force Awakens? Quite a short time ago in a galaxy not so far away, the flames of the Star Wars saga were forged anew with the release of the 2015 feature film the Force Awakens. The seventh film of the original franchise, JJ Abraham's long awaited offering brought together old favorites Carrie Fisher, Harrison Ford and Mark Hamill with some fresh new faces - Daisy Ridley and John Boyega amongst others, but John Williams' timeless music remained. 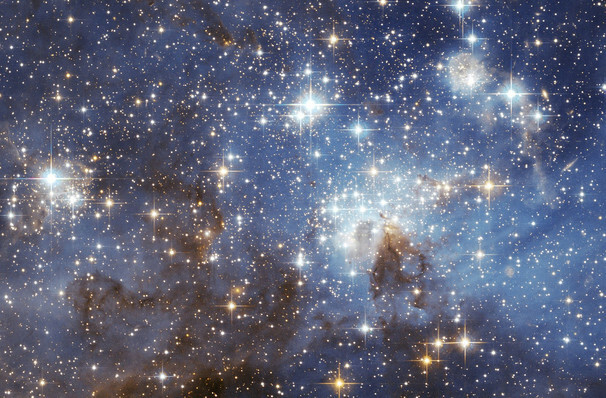 Experience the spectacular space opera during a special live HD screening with live orchestral accompaniment by the NSO Pops. Set thirty years after the defeat of the evil Empire, peace is threatened by Kylo Ren and the First Order, an autocratic military dictatorship formed after Darth Vader's fall. Their tyranny and carnage does not sit well with First Order stormtrooper Finn, who defects and crash lands on a desert planet, home of orphan scavenger Rey. The pair meet and form a bond, one that takes them to the ends of the galaxy to help the Resistance fight back as they search for the mysterious whereabouts of the missing Luke Skywalker. Sound good to you? Share this page on social media and let your friends know about National Symphony Orchestra - Star Wars The Force Awakens at Kennedy Center Concert Hall. Please note: The term Kennedy Center Concert Hall and/or National Symphony Orchestra - Star Wars The Force Awakens as well as all associated graphics, logos, and/or other trademarks, tradenames or copyrights are the property of the Kennedy Center Concert Hall and/or National Symphony Orchestra - Star Wars The Force Awakens and are used herein for factual descriptive purposes only. We are in no way associated with or authorized by the Kennedy Center Concert Hall and/or National Symphony Orchestra - Star Wars The Force Awakens and neither that entity nor any of its affiliates have licensed or endorsed us to sell tickets, goods and or services in conjunction with their events.